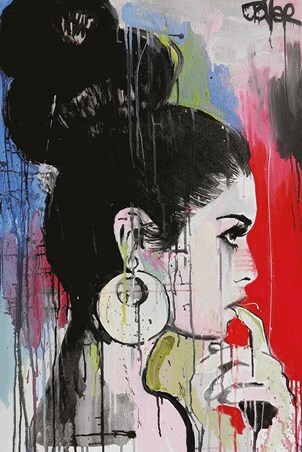 Known for transforming pages of books into beautiful pieces of Art; Loui Jover is an Australian artist with an incredible eye and buckets of talent. 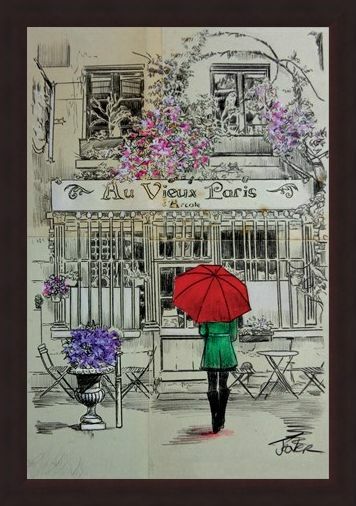 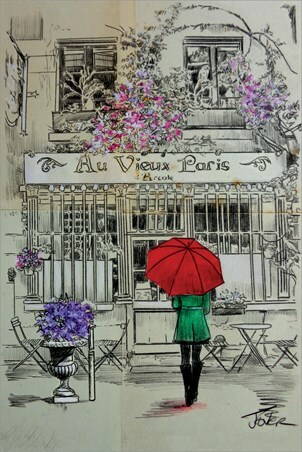 This incredible piece is entitled 'Au Vieux Paris' and sees a lady in a green coat and bright red umbrella standing before a French shop front. 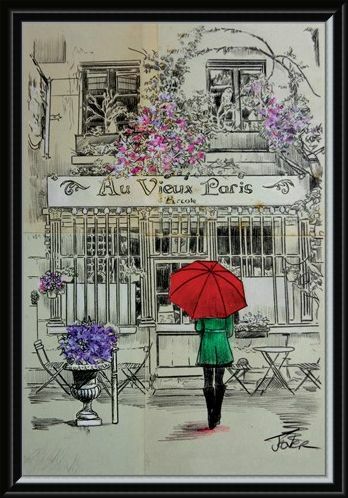 With a splash of colour within this monochrome piece, this is sure to stand out on your wall, teleporting you to the heart of Paris. 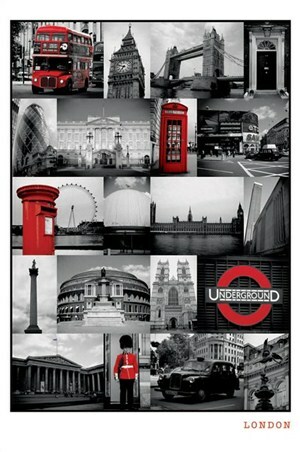 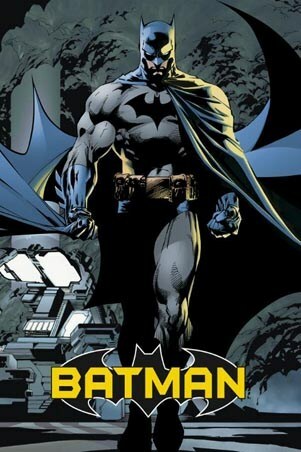 A great poster to hang in any room of the home. High quality, framed Au Vieux Paris, Loui Jover poster with a bespoke frame by our custom framing service.